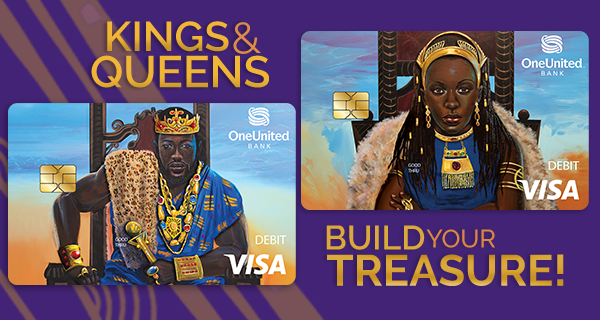 Everyone who knows you well, knows you’re royalty…which is why we introduced the King and Queen Visa Debit Cards! 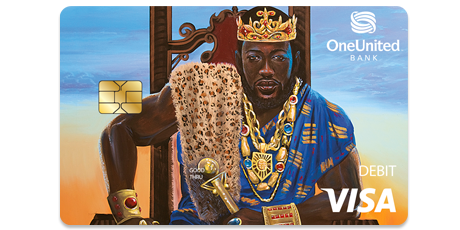 Access your money at over 30,000 surcharge-free ATMs including 7-Elevens. Simply visit Locations to find the surcharge-free ATMs near you. Earn cash with our new OneUnited Bank Rewards Program! Become a Bronze, Silver, or Gold Advocate. 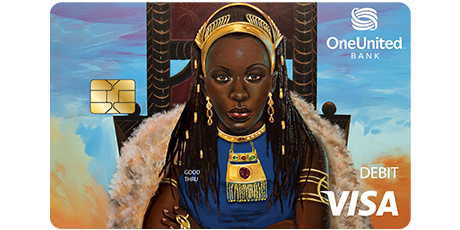 Earn cash, badges, and rewards by referring family and friends and much more! Save money with direct deposit! With an automatic savings plan, you can save money every week or month and avoid paying a monthly fee for a savings account. Visit www.oneunited.com/disclosures for more details.